According to Australasian Society of Clinical Immunology and Allergy (ASCIA), Australia has one of the highest rates of allergies in the developed world. Charity Allergy & Anaphylaxis Australia estimated that more than 650,000 Australians have a diagnosed allergy with about 30,000 new cases every year. What matters most is that allergies pose serious risks to health, welfare and consequently – business. Recent investigations (2017, MAY) established that nothing else but ignorance feeds allergy risks. The Galaxy Research study, based on responses from a representative sample of 1000 Australian adults, showed that 69% of Australian adults would not know how to help someone having a severe allergic reaction (anaphylaxis). Awareness and action taken to prevent personal injuries is critical to your brand and willingness to care about one of the most disturbing society health problems. However, there is still good news for your business: the big 4 triggers– dust, pollen, animal dander and mold can be taken care with the right cleaning equipment. Alphaclean has developed this guide to provide you with helpful information about allergies and commercial cleaning and contained is a series of tips and suggestions. It should help you in making an educated decision about cleaning equipment to create an allergen free environment in your business facility. Of course, if you need any additional information, remember we’re here to help, and will answer any question where possible, in addition, we have provided you with other web links that may be of good use. The most common allergens you’ll need to combat depend on where your business is located and the type of work you do. If you own a veterinary practice or pet grooming salon – pet dander will be a trigger, but if you work outdoors, like in a construction company, then pollen could be your number one enemy. Some of the industries have specific regulations and training regarding allergies. Education industry– especially schools and kindergartens nowadays suffer from intensification of allergies in the young generation. Moderate or severe allergic rhinitis impairs learning and performance in children. This cannot be controlled unless all pollen and allergens are cleaned daily with the right cleaning equipment. Retail sector. The retail sector has an increasing responsibility to manage the health and safety of a facility to ensure no personal injuries occur inside shopping areas. Health Care. Hospitals and clinics are encouraged to get the best support from professionals when choosing cleaning solutions because the risk of allergies is much higher when patients’ immunity is low. Sometimes it happens that solutions which kill germs can cause allergies to patients. Where are allergens found in most commercial buildings? Carpets, as well as area rugs and even cubicle walls, act as giant air filters, catching allergens and keeping them out of the air we all breathe at work. Areas listed below have the highest exposure to mould: antique shops, greenhouses, saunas, farms, mills, construction areas, flower shops. Location of allergens can be unpredictable. Have a thorough cleaning schedule with the highest quality cleaning equipment. This extra step will enhance safety and peace of mind within your workplace. 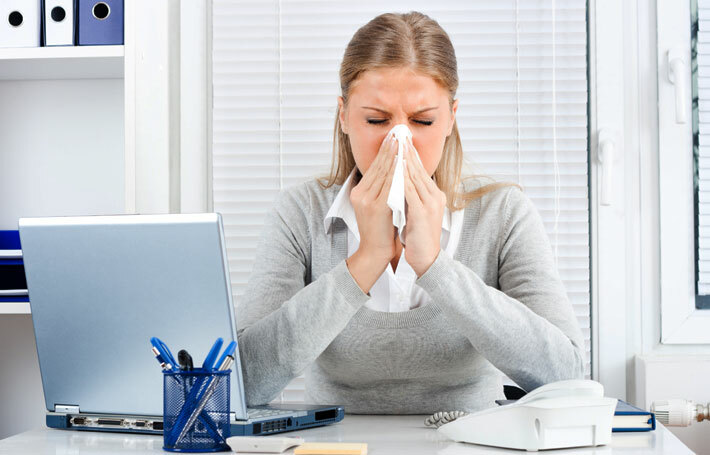 Outside environment may directly influence your businesses (clients and workers) susceptibility to allergies. Identify critically and make a threats list that you can see outside. Some pollutants like ozone, diesel exhaust particles and nitrogen dioxide, increase the risk of allergies and exacerbate symptoms. Seasons such as summer and spring bring more risk of pollen allergy, however, all other allergies should be taken seriously any time of the year. Astonishingly, indoor air can be up to 50 times more polluted than outdoor air. The pollution can be caused by several factors – building materials and furniture, carpet, personal care supplies, dust, or pesticides. Therefore, there is no question that continuous cleaning of your facility is mandate. Companies that wish to demonstrate their concern about allergies should look for equipment with in-built features, that have been purpose built to produce an environment that has fewer allergens. 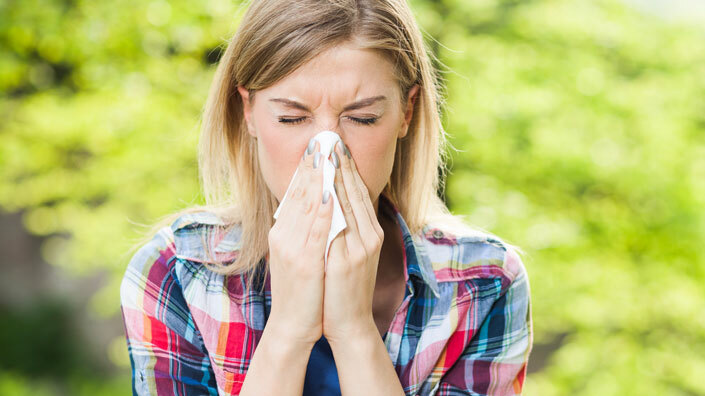 Which allergies can be prevented or at least minimized in your commercial buildings and how? The three most common allergies can be easily avoided. Moulds grow best in warm, damp, and humid conditions, and spread and reproduce by making spores. Keep humidity levels as low as you can—no higher than 50% if possible, however in the tropic areas, this can be a real challenge. An air conditioner or dehumidifier will help you to reach those levels. Clean bathrooms with mould killing products and avoid carpet to be used in bathrooms, kitchens, laundries and basements. An air purifier with HEPA filters is regarded as the most effective means of removing pollen from a building. Don’t forget to leave windows closed during peak pollen season. A good cleaning schedule with high-quality commercial cleaning equipment is your strength when it comes to dust. High-quality cleaning equipment ensure maximum dust removal. Consider for flat window blinds, which are easier to wash. Washable curtains or external shutters are other options. Don’t ignore decluttering when you’re cleaning to avoid allergies outbreak. In an office environment, piles of documents, books and magazines collect dust too. As we see from statistics Allergies are very common in Australia and New Zealand. Around 1 in 5 people will develop allergies sometime during their life. The allergy can have a significant impact on quality of life and are even associated with other medical conditions. Unfortunately, many people confuse myth with reality in the way they view allergies. “External landscape environment gives my customers, staff allergies”. Don’t rush out and start cutting trees as tree pollen can travel hundreds of miles in wind currents and thunderstorms. “Contact with natural chemicals can cause allergy increase”. Most allergies are averse to naturally occurring substances as that’s what our immune systems have evolved to react to. “Hypoallergenic means allergen-free”. This is a very important myth to understand in the stage of choosing not just toiletries for public toilets, but also cleaning chemicals. So, what is hypoallergenic? Hypoallergenic refers to materials that are just relatively unlikely to cause an allergic reaction. Moreover, products categorized ‘dermatologically tested’ are tested on the skin of volunteers who do not suffer from allergies. Unfortunately, today no regulation of hypoallergenic claims exists. “Toxic overload causes sensitivities”. There is no scientific evidence that supports such link. It is your responsibility to choose, use and provide information on premise about the lowest risk of cleaning chemicals. Your chemical supplier should assist you with the correct options. Which cleaning equipment ensures that allergens are targeted and that more allergies not caused? Commercial steam cleaners do not use harsh chemicals. Why? As steam is produced by a steam cleaner can reaches 100 degrees, the surfaces are instantly disinfected. Such a way of cleaning is environmentally friendly, therefore, contributes to lower reactions and sensitivities. 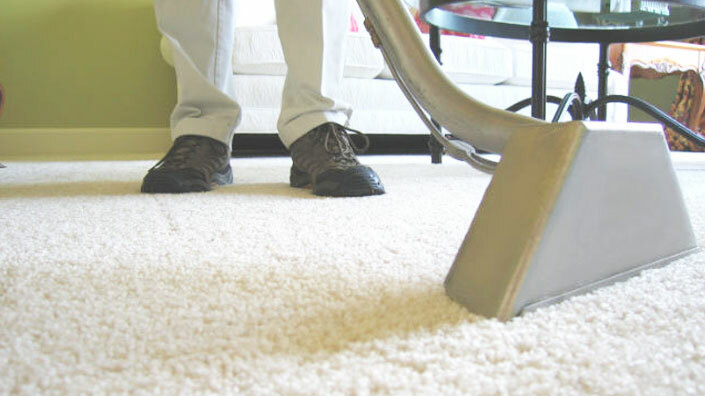 A steam cleaner can allow you to avoid the distribution of allergens such as dust mites in the air. In addition, a steam cleaner is a very economical solution, as it only uses water to produce the steam that will do the majority of cleaning. Enables safe cleaning within confined spaces and hard to reach areas. Commercial cleaning equipment providers have a wealth of information and experience that will prove useful during the course of seeking and purchasing equipment. Make the best use of advice, but remember not to be swayed by a sales pitch – remain focused on your own buying criteria. Your business nature and facilities are unique; therefore, you can have very specific requirements when dealing with health risks. 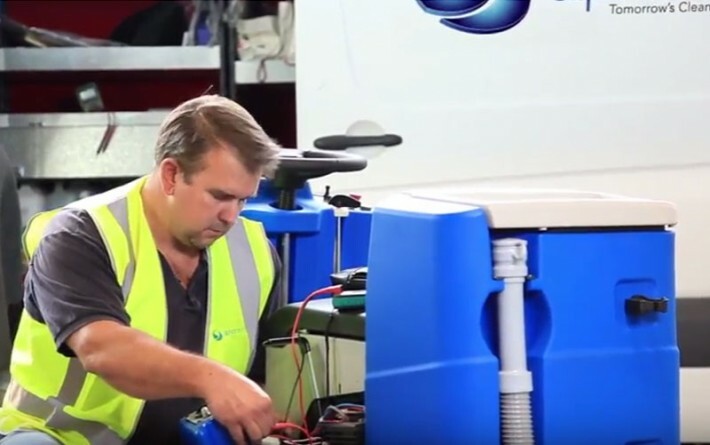 Despite many risks and the intensity of the allergies issue in Australia, equipment and cleaning solutions have been developed for every sector to cater for every need. In addition, what was used last year has most likely been updated this year. Allocating enough time for research and consultations is always recommended so you can choose the best long-term solution for your current business or facility. Your equipment provider is your partner in this journey.